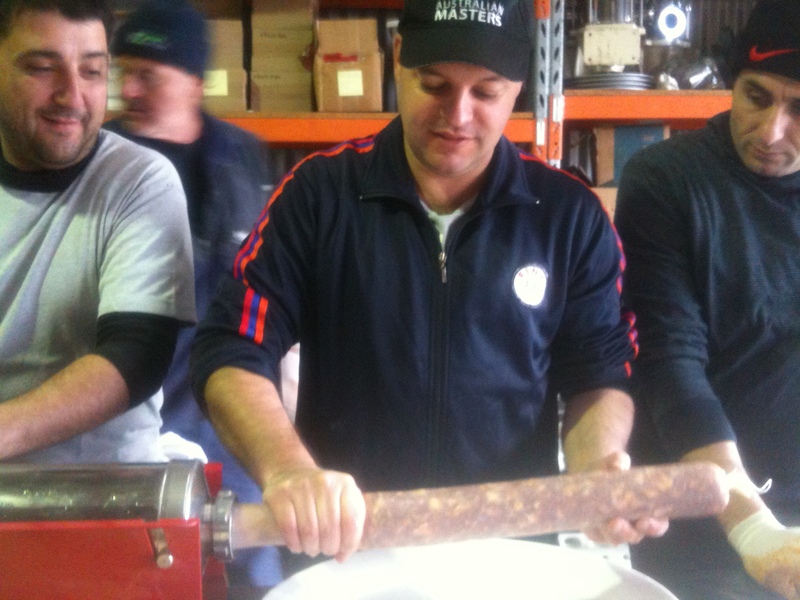 Yesterday ten mates got together to make 300kg of top line Calabrese Salami. 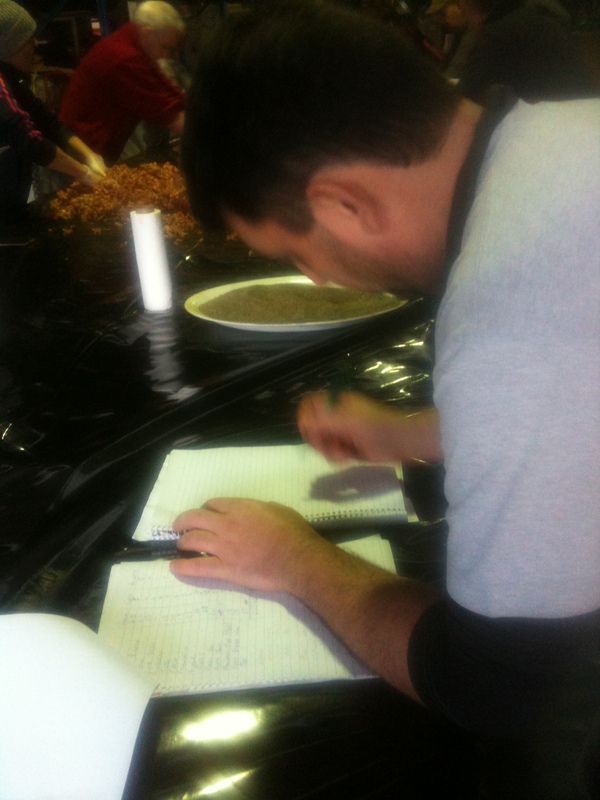 The meat looked fantastic and we will know the results in a few months time. Sometimes it is easy to turn our back on tradition. Why make Salami when you can buy it from any deli anywhere in Melbourne (and the rest of the world for that matter)? Because sometimes tradition and quality are impossible to beat. When the two combine, it is worth holding onto our traditions. Every year a group of ten mates of Italian heritage (and one blow in who has married an Italian girl) get together for a weekend of Sausage action. We call ourselves Next Generation Wog Council (NGWC) and it is a lot of fun. We do everything by hand and to say that it is rewarding is a big understatement: nothing beats the feeling of eating Salami that you have made. This year I missed the event as I was in Puglia judging but the boys were good enough to make my quota and this is some of my stash hanging in a mates factory. It should be ready in a few months and I can’t wait to see the end result. 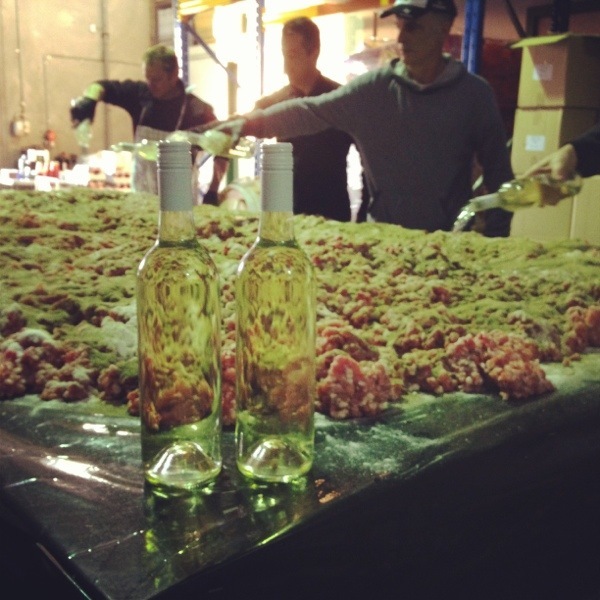 Vintage 2011 Next Generation Wog Council (NGWC) matched with #realperoni…. 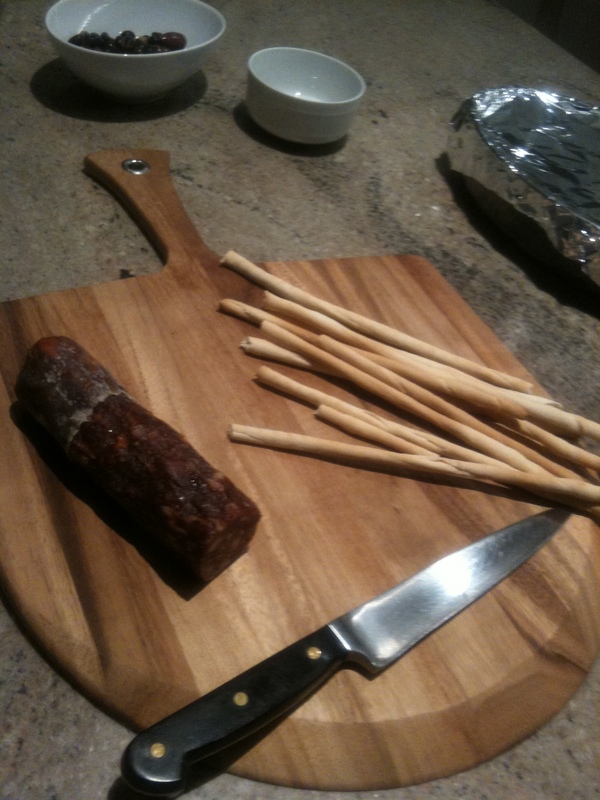 Making my own salami with a group of mates is so very satisfying. Even more satisfying is the first taste test and thankfully I can say that this years 2011 vintage batch is the best yet. 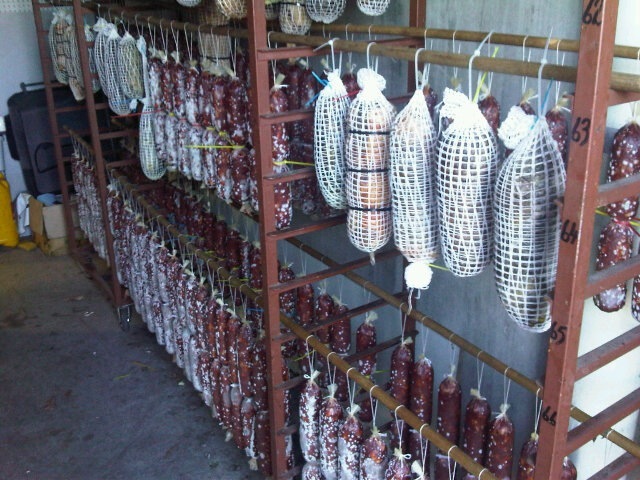 These salami’s are amazing. Fresh, moist, with the perfect amount of chilli and the flavours just linger in your mouth. I couldn’t be more proud. And the perfect match for such a perfect Italian salami? #realperoni of course!! 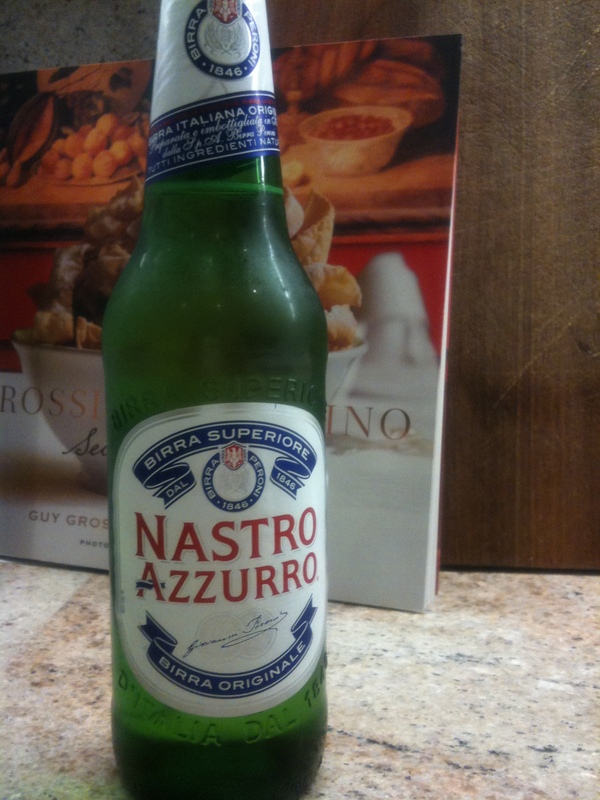 For those not from Australia, we have been subjected to having to drink Nastro Azzurro that is actually not from Italy. The Australian brewed Nastro (labelled Peroni here) tastes nothing like it should. I have been very passionate about this and have taken a stand which has had a great effect in educating people on the differences (as it is hard to spot the difference if you do not know what to look for) between beers brewed in their country of origin compared to those brewed under licence in Australia. I have actively sought and imported #realitalian beer in Australia and whilst financially it is not the smartest decisions one could make, I am proud of the fact that if I want to drink Nastro (or Moretti, Messina, etc) then it should actually be from Italy. More on this on my next blog post.